The Center at 3510 N.Vancouver Ave., is a coalition-led hub for child and youth creativity, education, and engagement in North Portland. Our Mission is to join educational forces in the creation of authentic and inclusive opportunities that empower children and youth to lead positive change in their communities. Catlin Gabel’s PLACE (People Leading Across City Environments) urban civic leadership program, Metro Regional Government, Portland Bureau of Transportation, and One North, a Portland development and neighborhood project, have created an innovative new partnership. This partnership gives the coalition a storefront space in North Portland to build on the mission of student and community engagement long held by the PLACE programs. 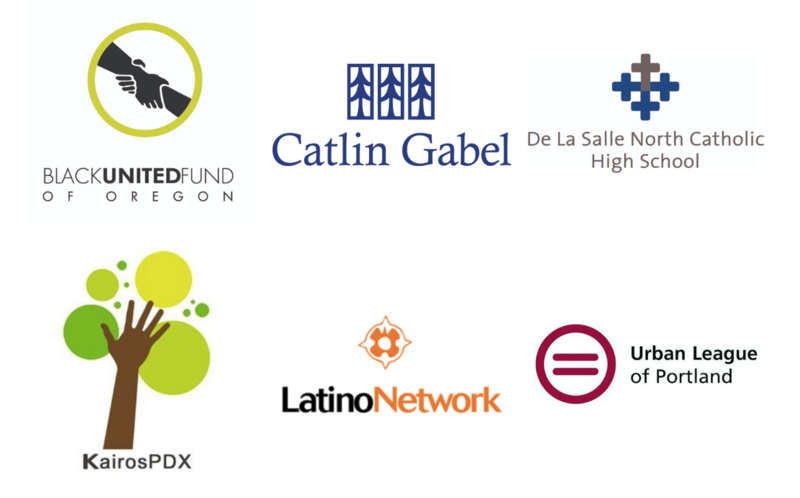 Black United Fund - Catlin Gabel School - De La Salle North Catholic High School - KairosPDX - Latino Network - Urban League of Portland.